Rectangular stainless steel 20.0 x 25.0 mm case. Octagonal crown set with a pink sapphire cabochon. 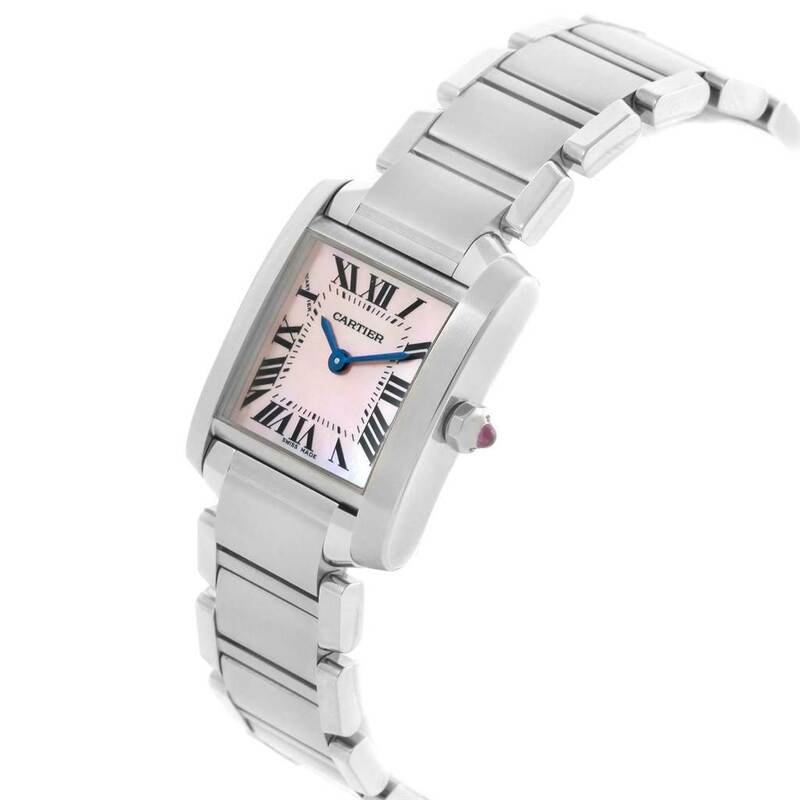 Mother of pearl dial with painted black radial roman numerals. Sword shaped blued steel hands. 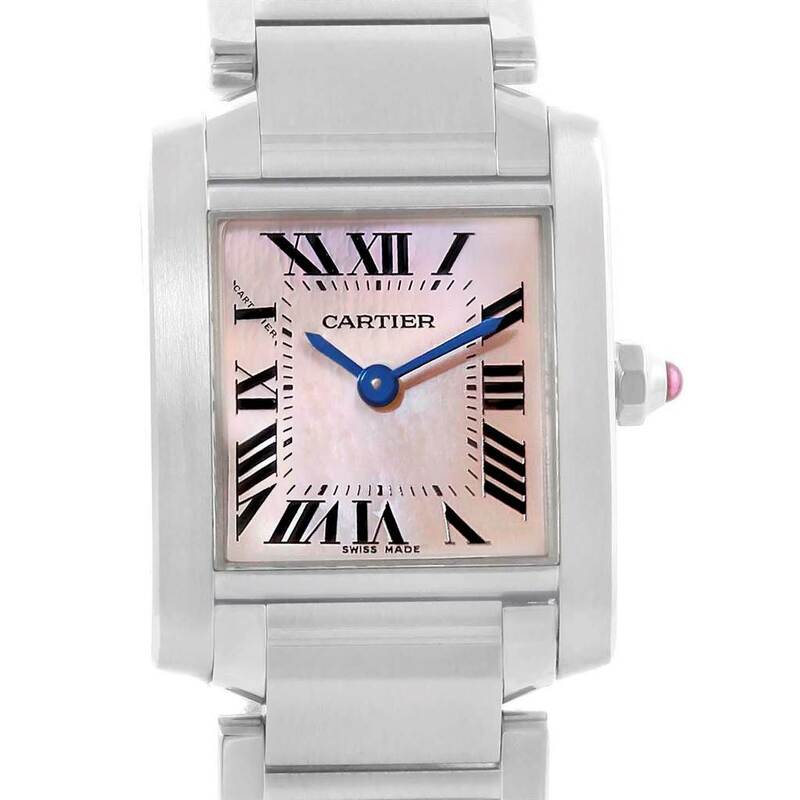 Secret Cartier signature at 10. 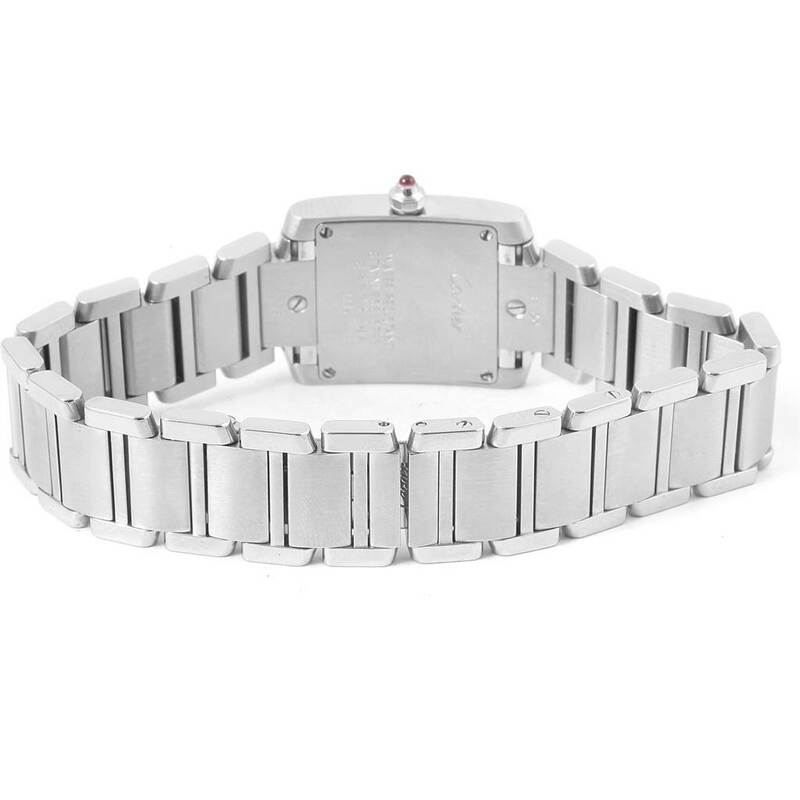 Polished and brushed stainless steel bracelet with the double deployment clasp. 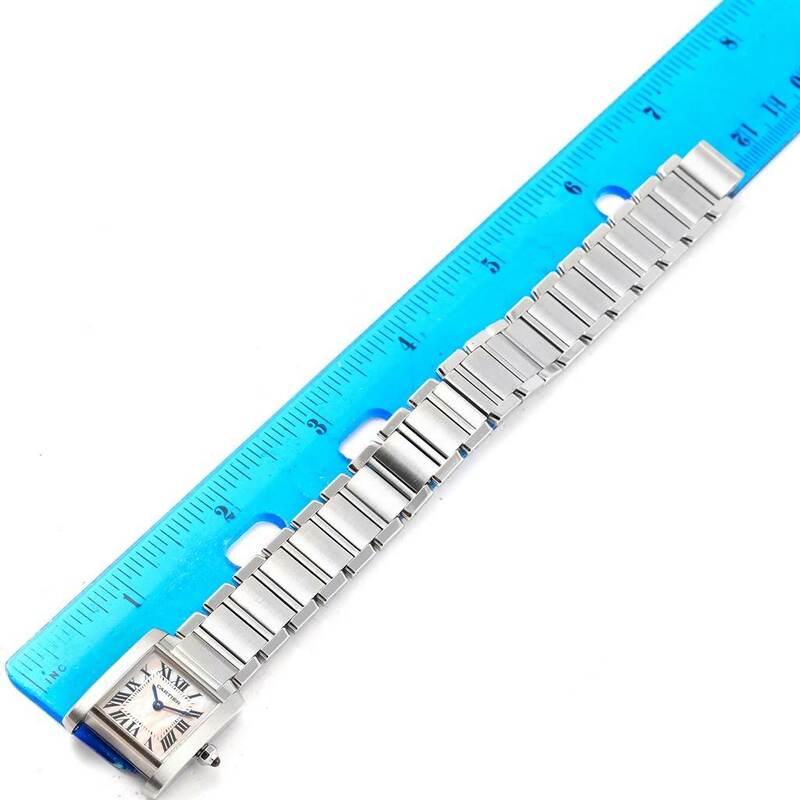 Will fit up to 6.5" wrist. 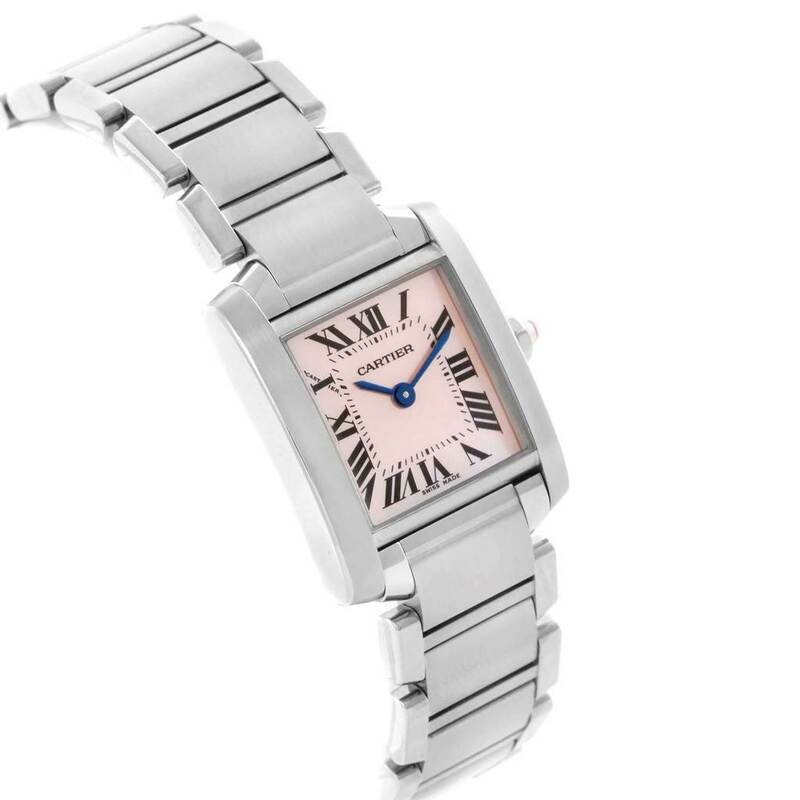 Cartier Tank Francaise Pink MOP Dial Steel Ladies Watch W51028Q3. Quartz movement. 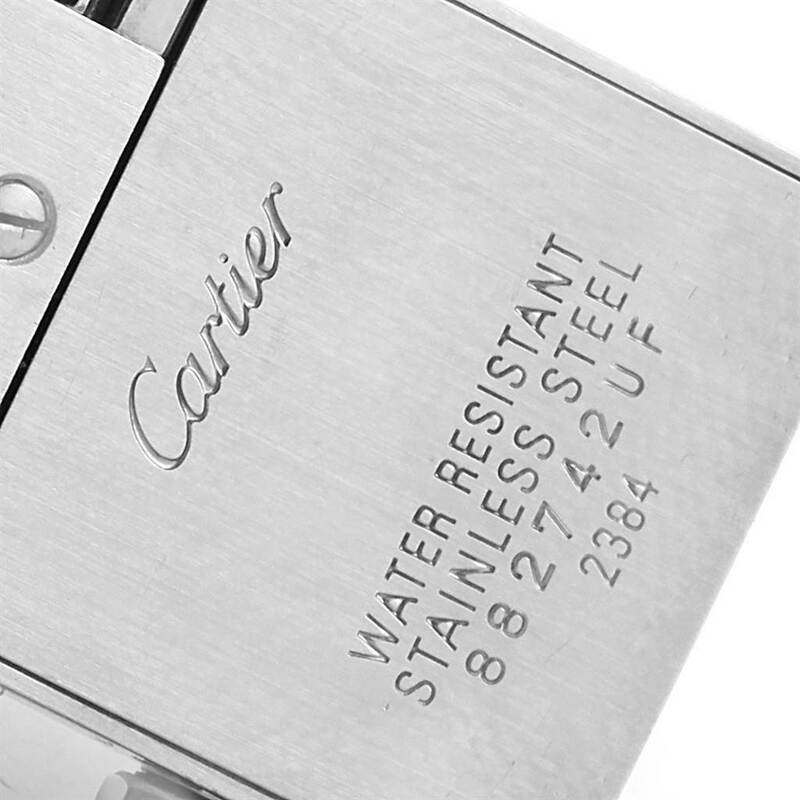 Rectangular stainless steel 20.0 x 25.0 mm case. Octagonal crown set with a pink sapphire cabochon. Stainless steel fixed bezel. Scratch resistant sapphire crystal. 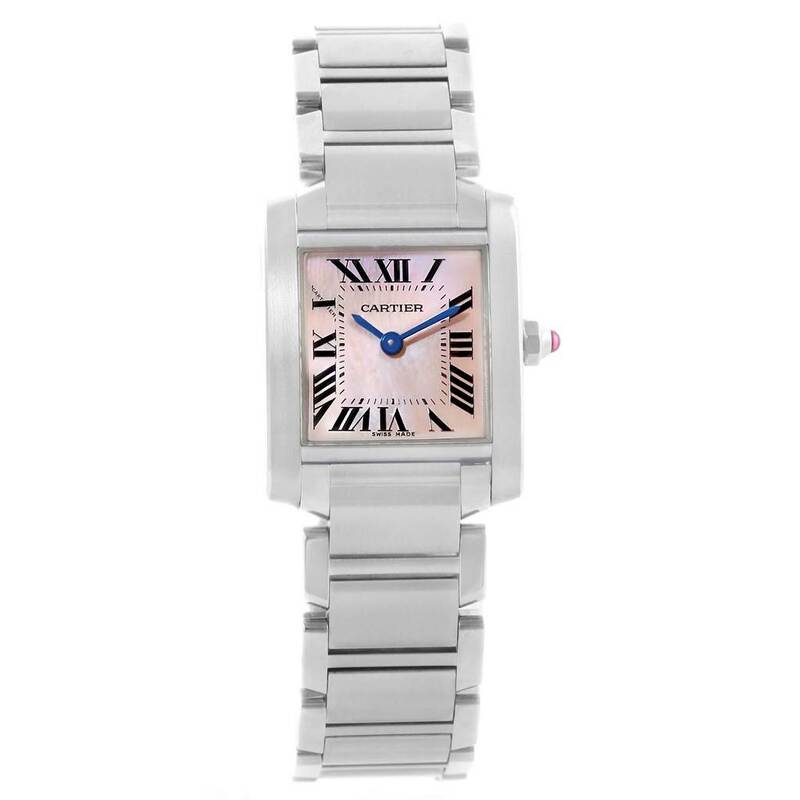 Mother of pearl dial with painted black radial roman numerals. Sword shaped blued steel hands. 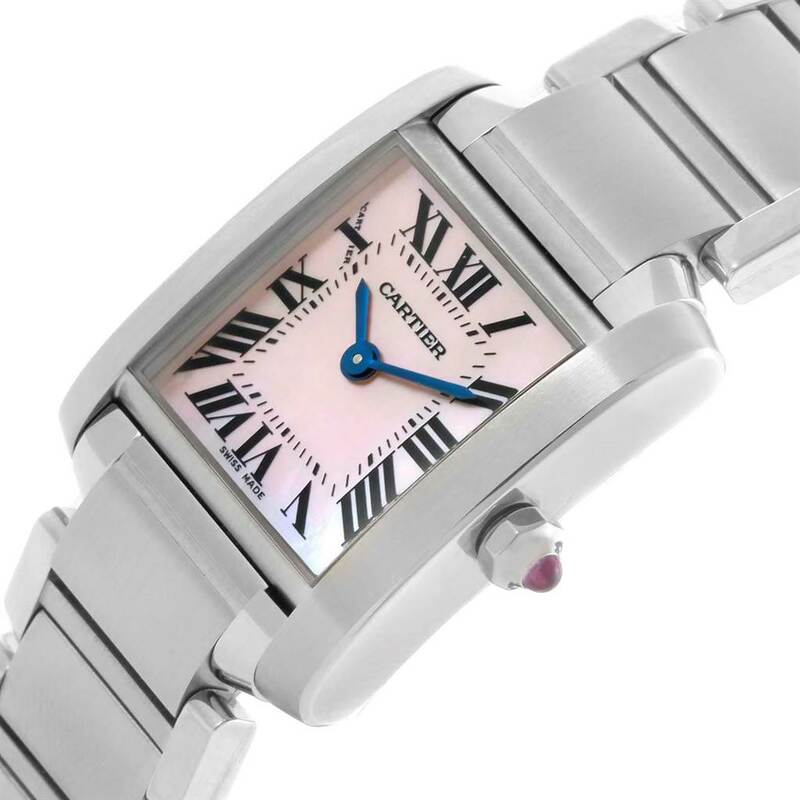 Secret Cartier signature at 10. 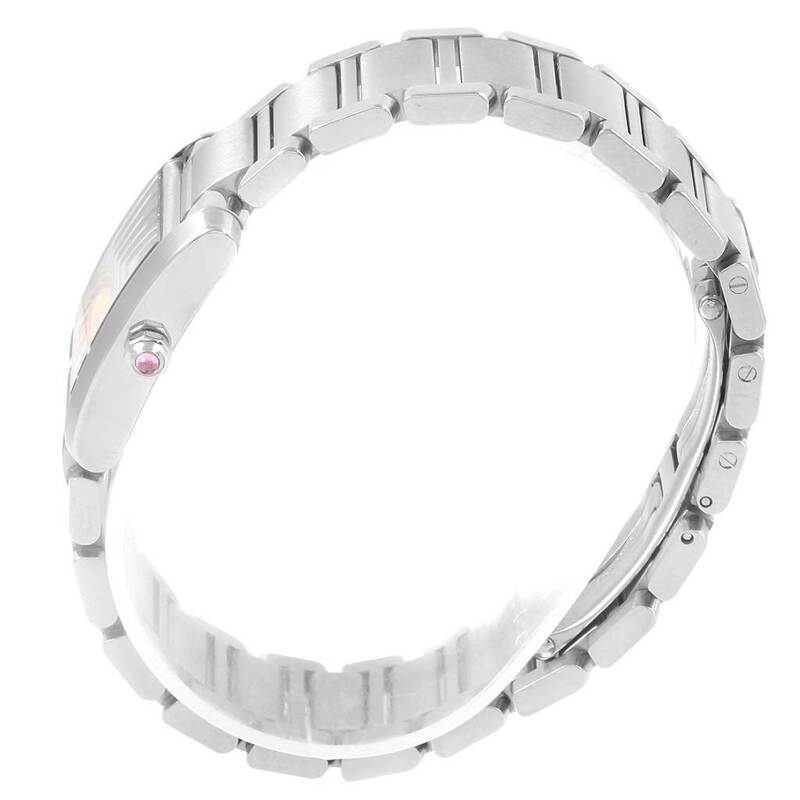 Polished and brushed stainless steel bracelet with the double deployment clasp. Will fit up to 6.5" wrist.